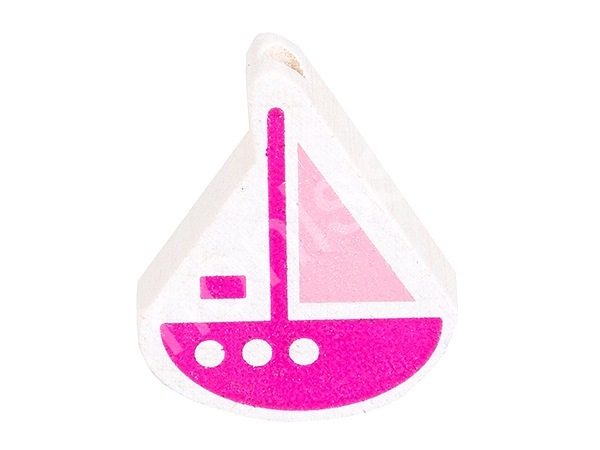 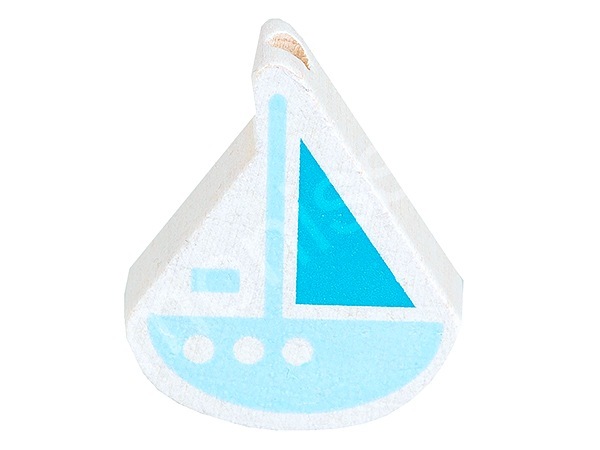 You get the motif bead little sailing boat with a size of 21 mms x 28 mms x 8 mms. 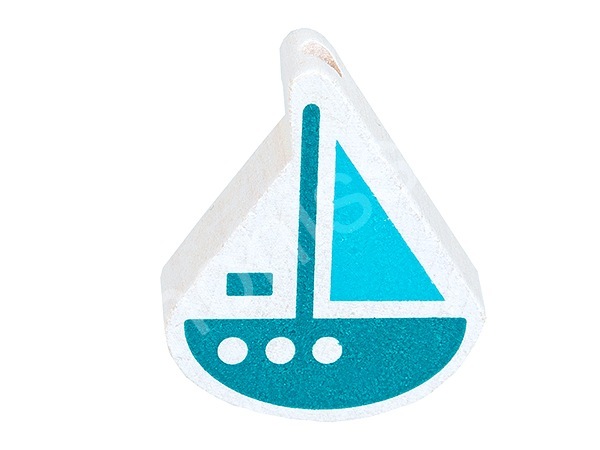 The hole is vertical and approximately 3.0 mm in size. 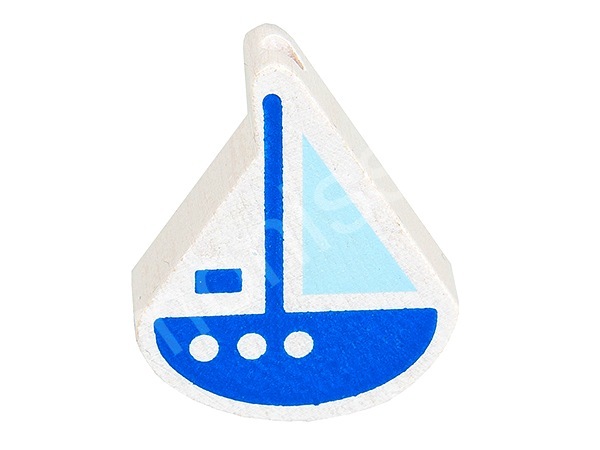 The motif bead is suitable for Pacifier chains, Grabbing Toys and pram chains.